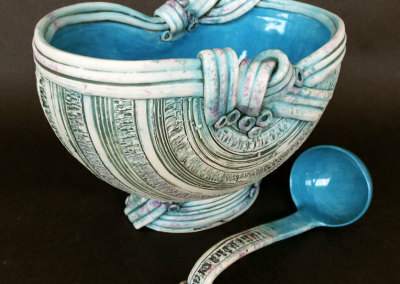 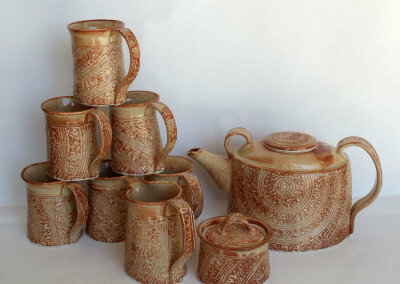 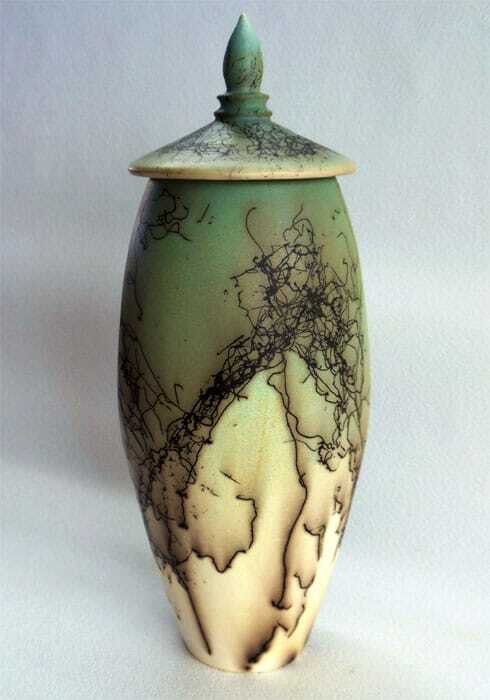 Lorraine has been intimately involved with clay since 1975 and is still discovering new ways to use this medium. 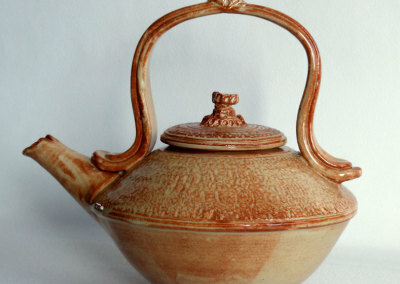 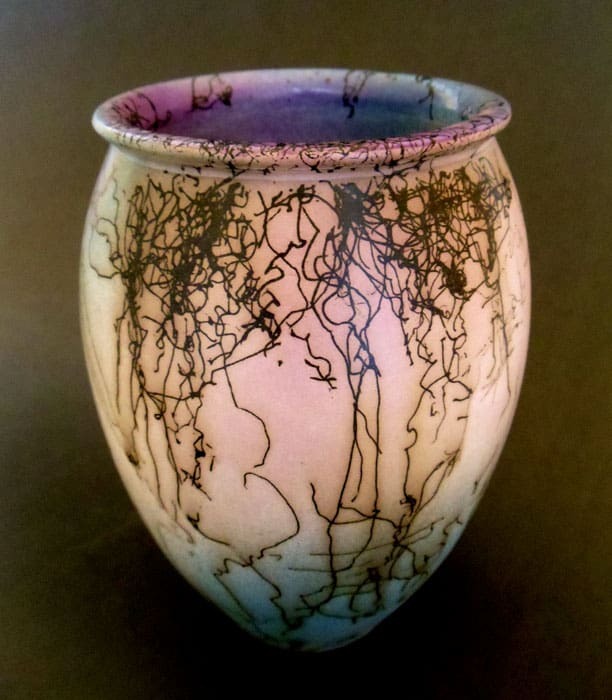 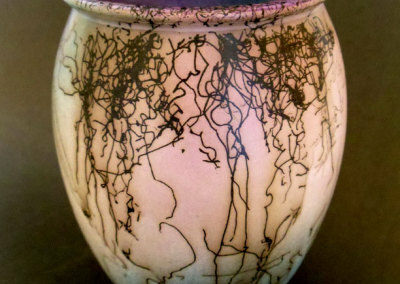 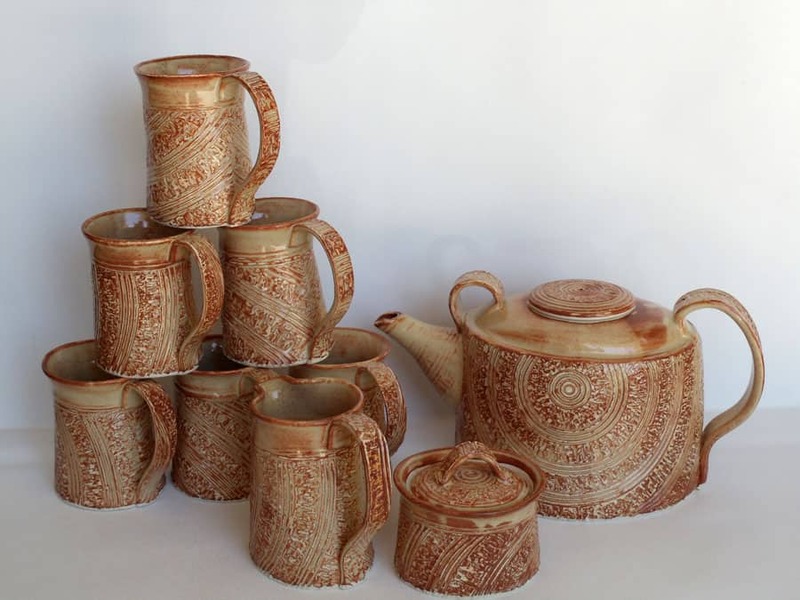 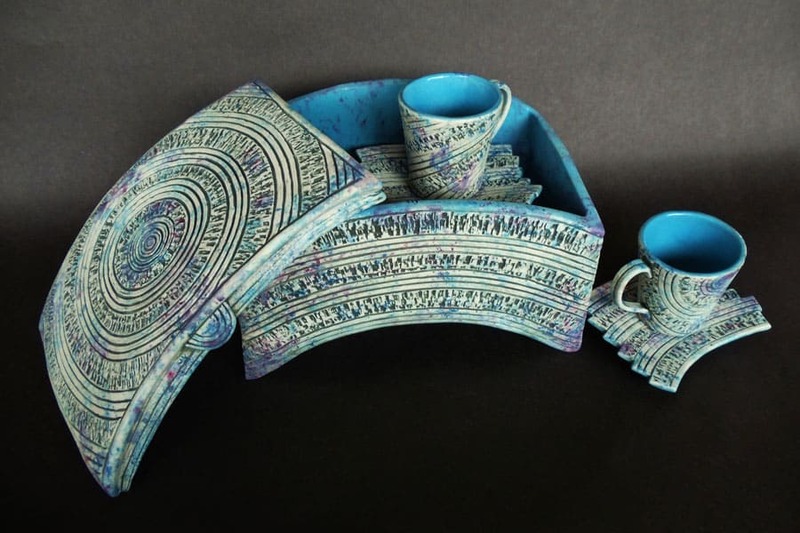 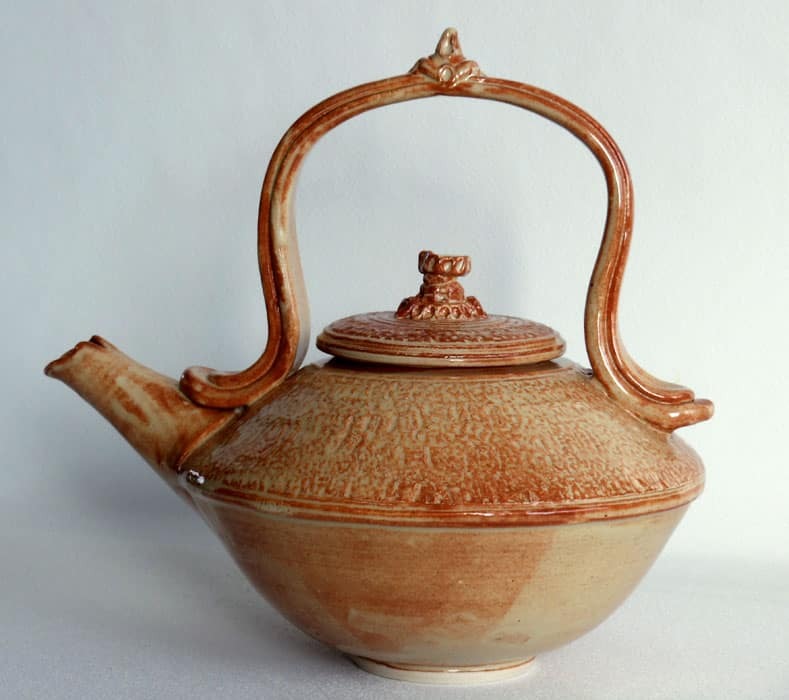 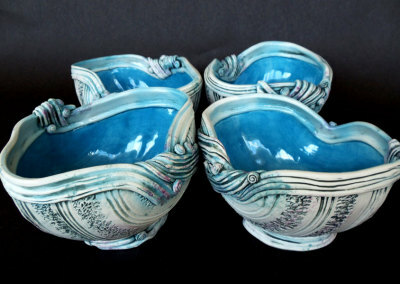 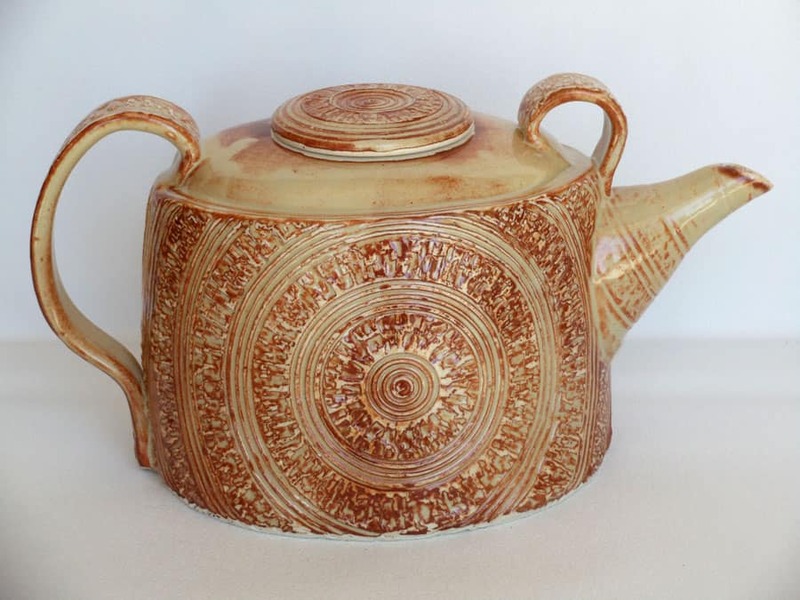 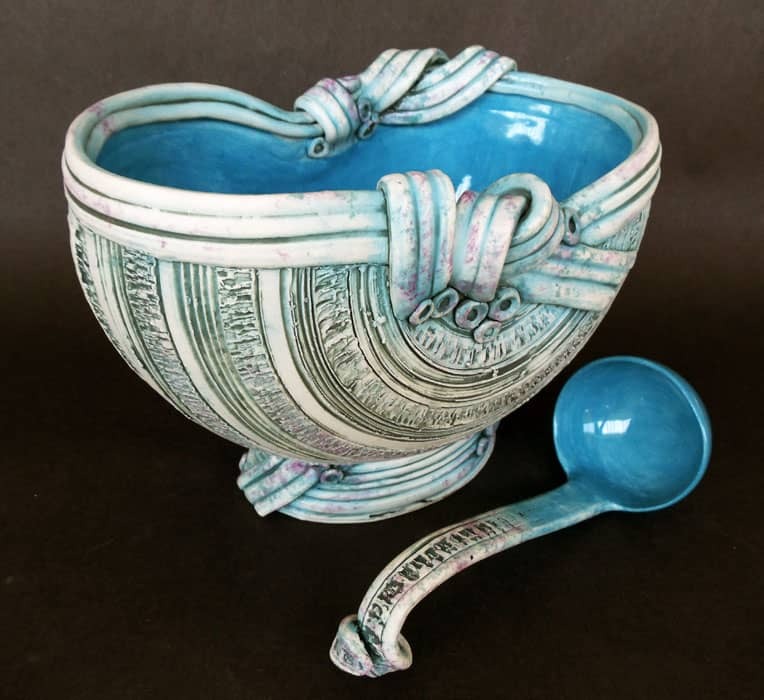 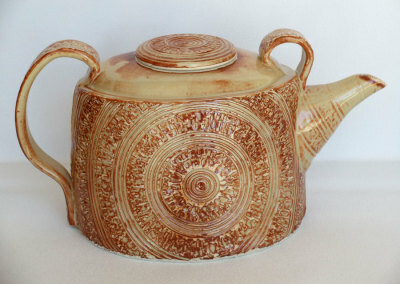 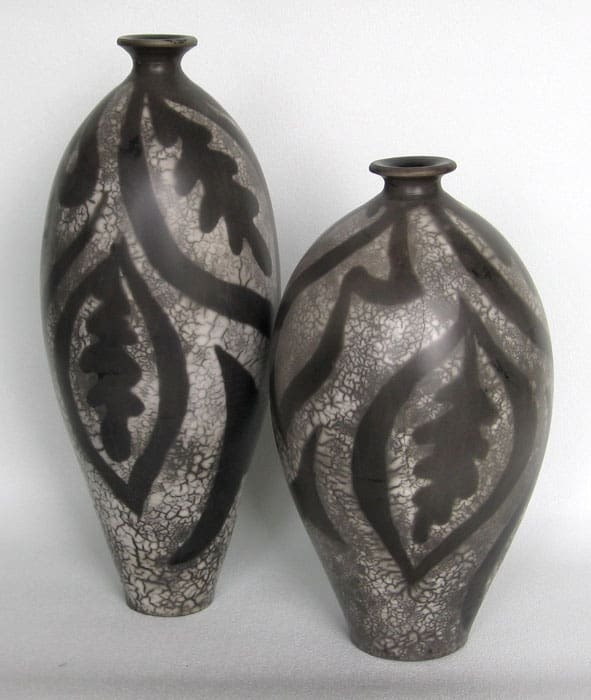 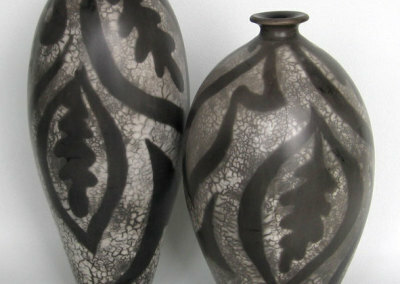 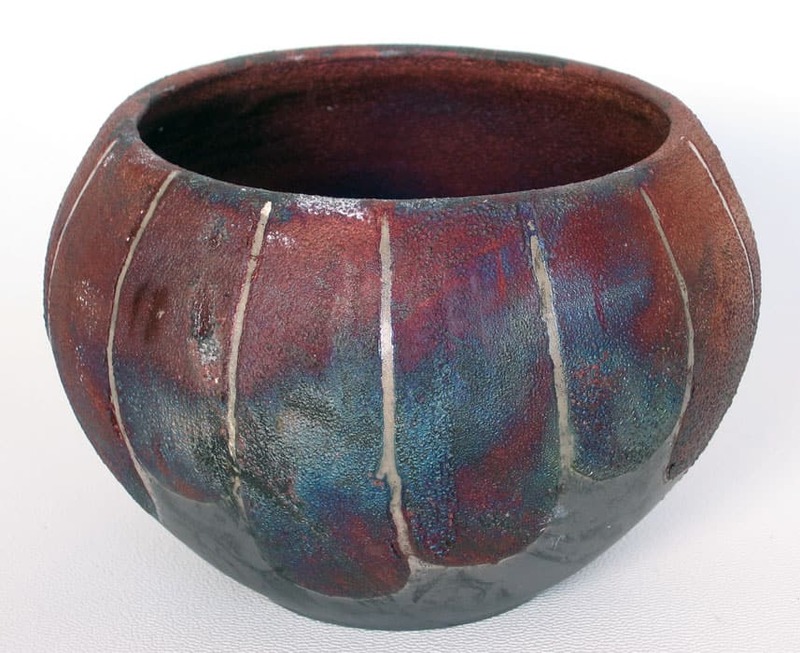 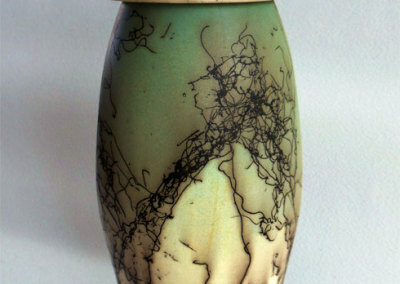 In recent years she has been experimenting with unusual ways of firing in an electric kiln. 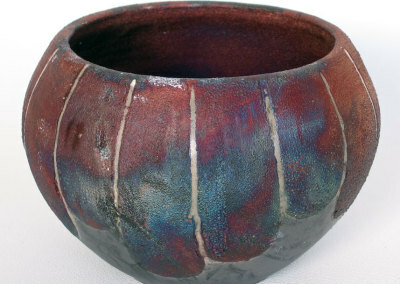 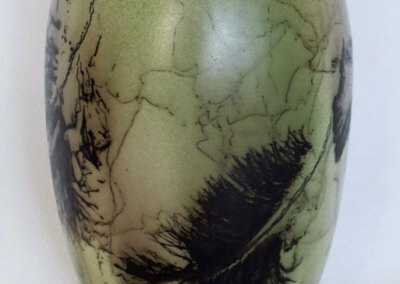 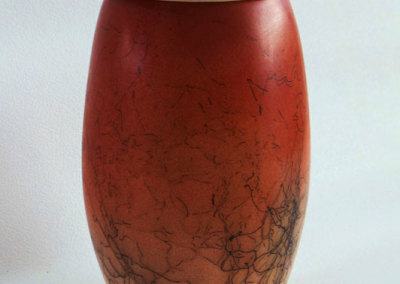 She settled upon the horse hair and slip resist techniques traditionally performed in an outdoor kiln and has been successful making this process work indoors. 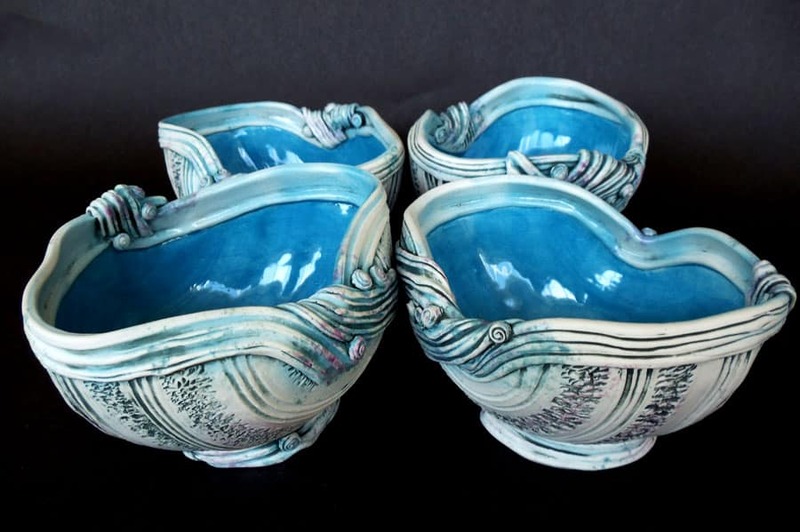 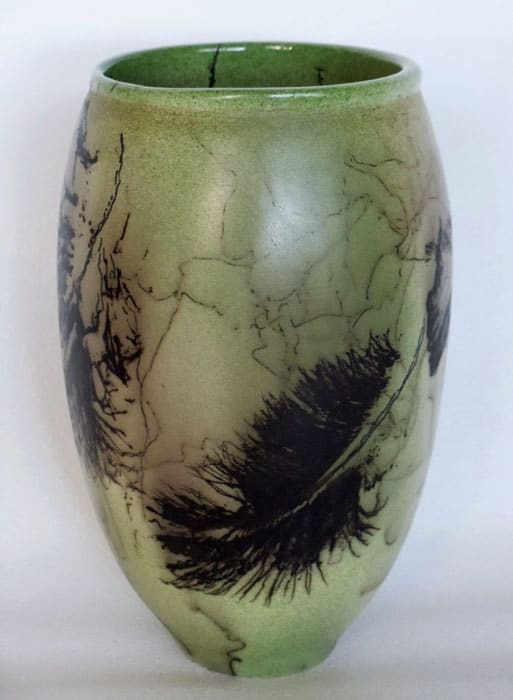 On recent pieces, she has refined her technique to utilize airbrushed underglaze colour providing a colourful nuance to pieces that traditionally are not reflective of a wide palette. 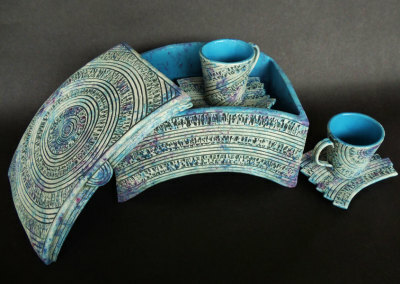 Lorraine holds a Ceramics Diploma from SIAST. 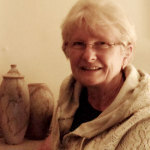 She has been accepted into many SCC Dimensions juried exhibitions, winning awards in five. 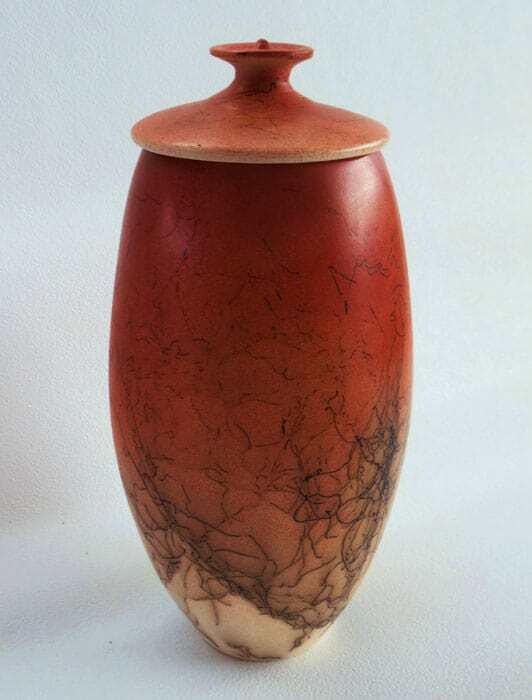 Her pieces are in permanent and private collections in Saskatchewan, Alberta, Ontario, the UK, South Korea and the Bahamas.